Parking: No parking at entrance, street parking on Kalaau rd. and surrounding neighborhood. What to expect: This trail begins where the Kuli'ou'ou trail state hiking sign is at the end of Kalaau Rd. Be sure to follow the dirt path not the paved road. The trail is filled with different surroundings and diverse plants. Keep an eye out for the pink ribbons, they will guide you through if you find yourself confused or lost. 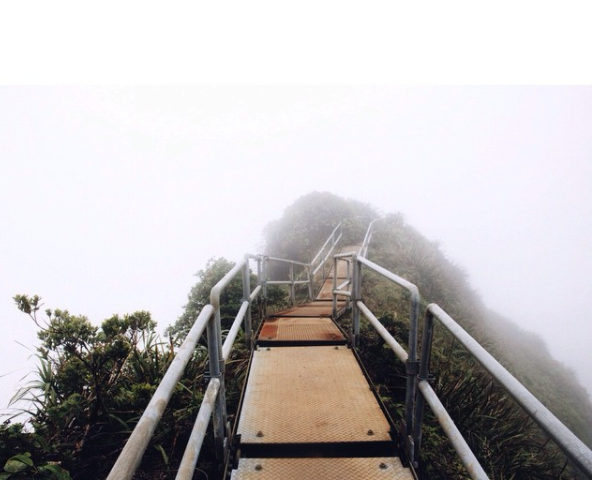 Follow the dirt trail to the top of Koolau ridge for amazing views of South and East Shores of Oahu. Directions: The Kuliouou Trail begins at the end of Kalaau Road in the Hawaii Kai region.